CyMedica Orthopedics has enrolled the first patient in a clinical trial of its E-Vive neuro-muscular device, looking to assess its effectiveness in post-operative primary total knee arthroplasty rehabilitation. 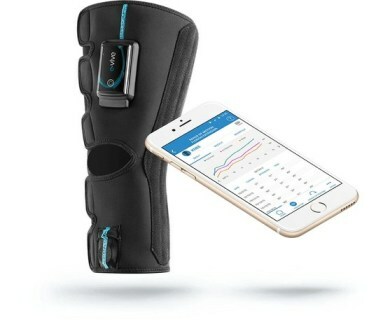 The company’s E-Vive wireless muscle stimulation device is designed to reduce post-surgical muscle atrophy, particularly losses in quadricep strength after knee surgery. According to the company, post-surgical muscle atrophy can also cost up to $4,200 per episode due to additional rehabilitation. The firm has developed patented Cy-Motion muscle activation and patient engagement system to enhance , reduce complications and lower healthcare costs. CyMedica also produced CE-marked and FDA-approved QB1 muscle activation system, which enables all knee patients to potentially improve their quad strength. It activates atrophied quad muscles in a clinically relevant manner with little pain. The trial’s primary investigator Dr Carlos Higuera-Rueda said: "As bundled programs and the healthcare models evolve, orthopedic surgeons will continue to be advocates for better post-surgical rehabilitation innovations that engage patients in their care and provide more efficient ways to provide these services. Image: CyMedica’s e-vive helps keep patients engaged with their rehab by tracking their progress and allowing data sharing with clinicians. Photo: courtesy of PRNewsFoto / CyMedica Orthopedics.